Attaches tow strap to 2 inch receiver hitch. Perfect for pulling vehicles out of ditches with a tow strap whether it be mounted into a front or rear receiver. 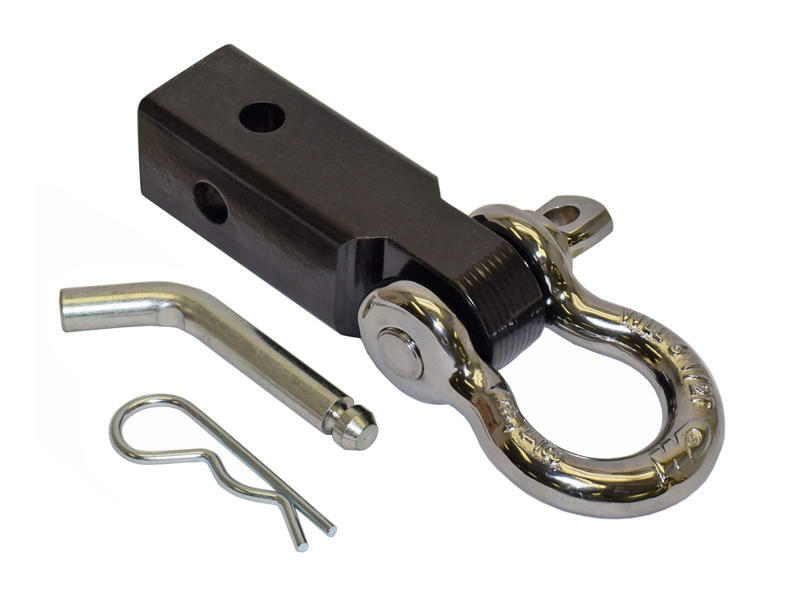 We custom chromed an eye catching Columbus Mckinnion (U.S.A made) 6-1/2 ton shackle. 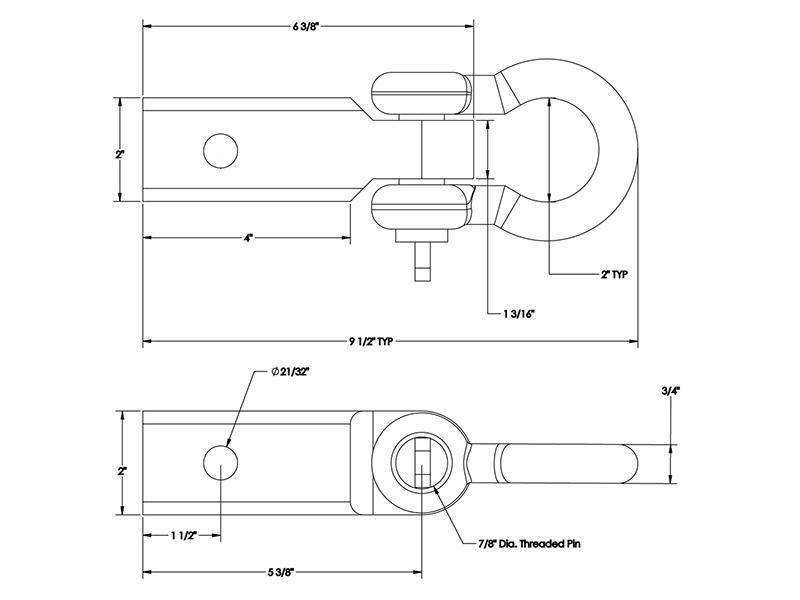 Pin holes are cross drilled giving you the option to use the shackle in a side to side or up/down option. 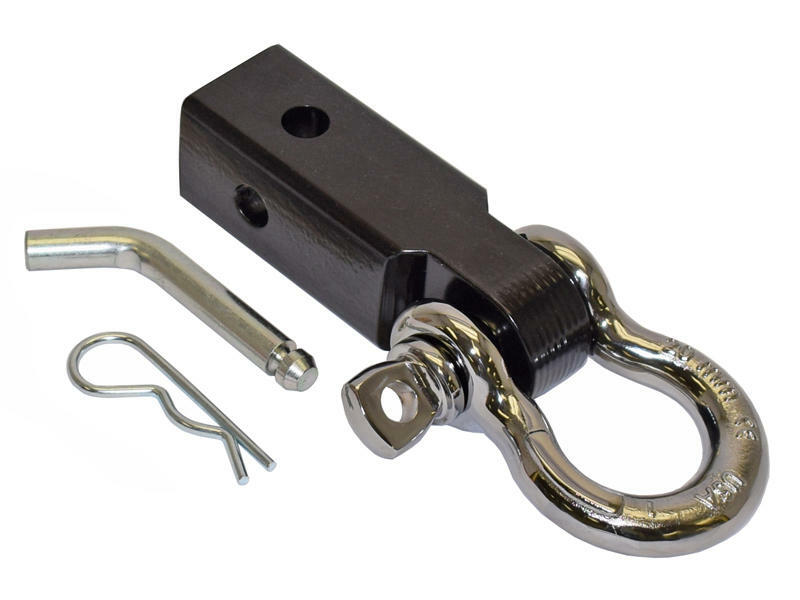 Hitch pin and clip included. 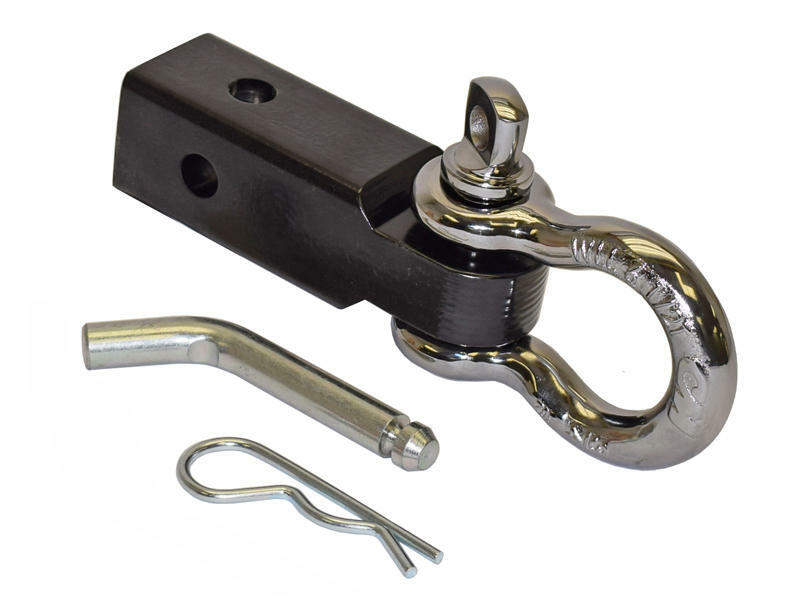 Shackle span - 1.95" I.D.